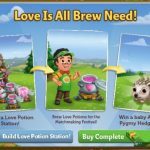 FarmVille 2 runs on Adobe Flash, and we are aware that you have had trouble accessing your farm since web browsers started withdrawing support for Flash. Our secure FarmVille 2 Launcher is designed to fix this for you. Once you have it installed, you can avoid the hassle of allowing Flash to run every time you load the game or changing your browser settings to enable Flash. The Launcher is currently only available to users of Windows 10 on Chrome Browser. We are working on making it available on all other platforms. 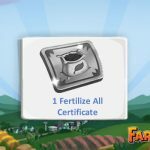 Here are the steps to install the FarmVille 2 Launcher on your Chrome Browser! When you load FarmVille 2, you will see this message. You will need to accept Zynga’s Terms of Service to proceed to the next step. Once you accept Zynga’s Terms of Service, click on the “Download & Install” button. Click on the downloaded file on the bottom-left corner of your screen. Doing this will install the FarmVille 2 Launcher for you. 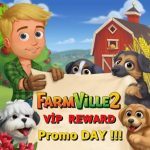 Reload FarmVille 2 and get cool rewards! 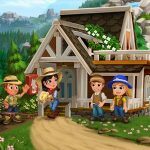 Continue playing FarmVille 2 and enjoy smooth and fret-free farming!